On Thursday 8th August, at approximately 10am, High Court bailiffs showed up to join United Welsh representatives, police and contractors booked to secure buildings, in an attempt to evict Rumpoles, Moira Terrace, Cardiff, CF24 0NE (aka: prison squat / 0ne squat). By 12pm, without even attempting to enter, they left the occupiers in possession of the building. At 9:30am the first few supporters started arriving outside, while some squatters took to the peak of the roof. The outside had been barricaded with furniture, gas bottles, compressed air canisters and a piano, while the inside was well secured. A ‘Fire 2 the prisons’ banner had also been dropped from the windows the night before, during significant disturbances within Cardiff prison over the road. Four police officers from Roath arrived warning the resisters that possessions used to barricade would be cleared away by the council, stating ‘Your rubbish makes Roath look poor’, even though the squat is in Adamsdown, but otherwise ignored the situation and promptly left. At this point neighbouring prisoners began shouting in support of the squatters and against the cops. The rest of the day was spent receiving strong support from, passersby and locals, particularly in the neighbouring Adamscourt, also owned by United Welsh Housing Association. While supporters continued to play piano and eat the skipped bakery goods from the night before. 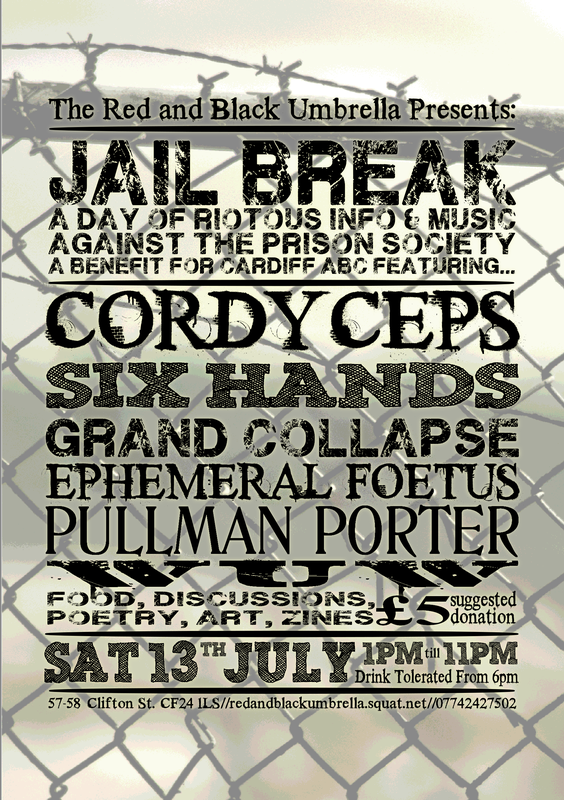 Prison squat has been lived in for 3 weeks, and has hosted an anti-fascist benefit gig, No Borders film screening, prisoner letter writing, as well as other events. United Welsh plan to demolish the building. This work is to start no sooner than February 2014, in order to build 49 1 to 2 bedroom flats for ‘vulnerable people’, whilst denying the Adamscourt residents access to communal greenland in the process. Attempts from squatters to negotiate with owners have repeatedly failed. 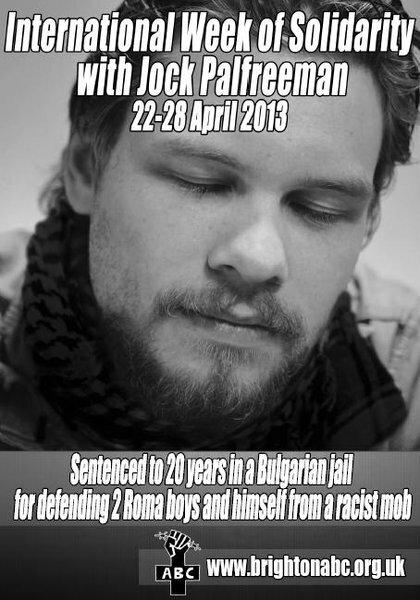 was sentenced to eleven and a half years in prison for one bank-robbery to fund raise money for left-wing projects. Later I was sentenced to a further five years and three months for “insulting” prosecutors, judges and politicians. government kept me in isolation (solitary confinement) from 1996 until May 2007. I have been in the general prison population for the past six years and will finish my sentences in July 2013. But in 1997 the criminal court added the so-called “preventive detention” (PD) to my sentence, based on a Nazi-Law from November 1933 which allows the state to keep a prisoner in custody over and above the end of their regular sentence, if they want to for the rest of the inmate’s life. Recently the courts opened my files to decide if I will go to PD in July 2013. In the end there is not much real chance that the judges will set me free, but it would still be helpful and I would appreciate the solidarity, if people could write some letters and e-mails to the court and support my struggle for freedom. Every kind of support is welcome! 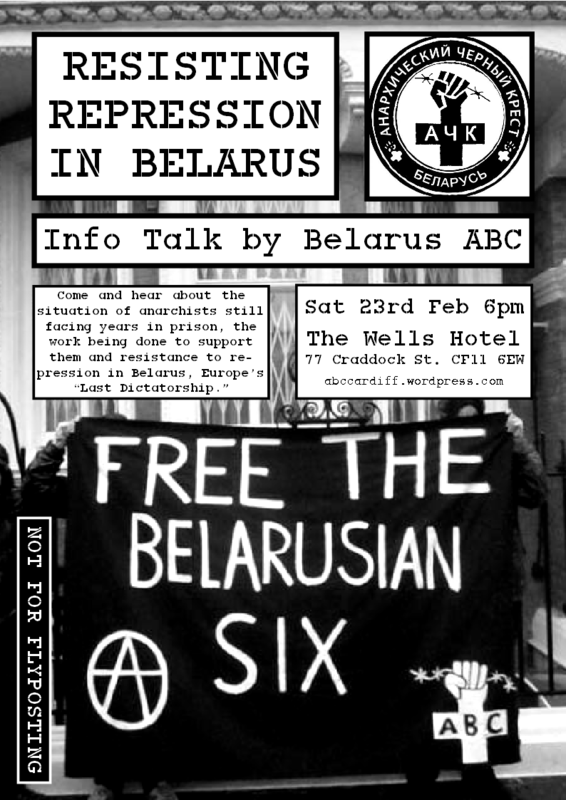 On Friday the 23rd of Feb. @ 6pm there will be an info talk by a member of Belarus ABC at the Wells Hotel. For more information on the prisoners, Belarus ABC, the international solidarity that they have received and how it has helped, visit afed. The Wells hotel can be found at 77 Craddock St. CF11 6EW. It has played host to all manner of awesome events over the past couple of months and we can only hope that there’s more to come. For the past 30 years John Bowden has been at the forefront of the British prison struggle, and is by far our most prolific prisoner writer. Time and again, John’s articles have shone a searchlight into the State’s murky dungeons, exposing brutality and repression, and challenging the very nature of prison. For many years now, John has been held in jail because of his political views and his willingness to challenge injustice. That has never been clearer than now, as the State attempts to use ‘secret evidence’ to keep him behind bars. It is relatively rare that prisoners, originally sentenced for non-political offences, become so politicised whilst in jail, that their release is opposed by the prison authorities for exactly that reason. In the case of life sentence prisoners who have served the “tariff” part of their sentence (or the length of time the judiciary stipulates they should remain in jail), the legal criteria determining their release, or not, are clear and straightforward: Has the prisoner served a sufficient period of time to satisfy the interests of punishment and retribution? Does the prisoner remain a risk to the community? Can the prisoner be safely and effectively supervised in the community post-release? Of course the prison authorities would never openly admit that apart from the above criteria, there is another “risk factor” that would prevent a life sentence prisoner’s release: Their identification with a progressive or radical political cause. Opposing a life sentence prisoner’s release, purely on the basis of their having exposed and organised against human rights abuse in the prison system, would of course make a complete mockery of the claim that, apart from its punishment function, prison also exists as a place of reform and rehabilitation, a place where supposedly brutal and anti-social criminals are made better people by a system administered by humane and just-minded individuals. The entire legitimacy of the prison system is based on the premise that, essentially it exists to protect the public from individuals who represent a threat , so denying that some life sentence prisoners are kept locked-up solely because they embrace an ideology that actually believes in a society and world free from violence, exploitation, and inequality, is imperative if the myths and fallacy used to justify the existence of prisons is to remain intact. Last night as part of the international call out for noise demonstrations outside of prisons and detention centers, a group of anarchists and anti-authoritarians assembled at cardiff prison where some people set off fireworks and scattered hundreds of fliers from the top of the multi-storey car park opposite the jail (which is visible from many of the cells in the prison) whilst others sounded a siren, banged drums, threw fireworks over the wall of the prison and participated in anti-prison and anti-police chants with the prisoners who did everything they could to communicate back to the crowd gathered outside. The fliers read “Solidarity is our weapon – Freedom now!” on one side and “Fire to the prisons, fire to the borders and fire to those who protect the system that’s killing us all. ACAB” on the other. The initial group made a speedy and tactical retreat after noticing the approaching filth accompanied by a fire engine heading towards the prison. Roughly an hour later a small group returned to set off the last firework and shout some more in support of those inside.